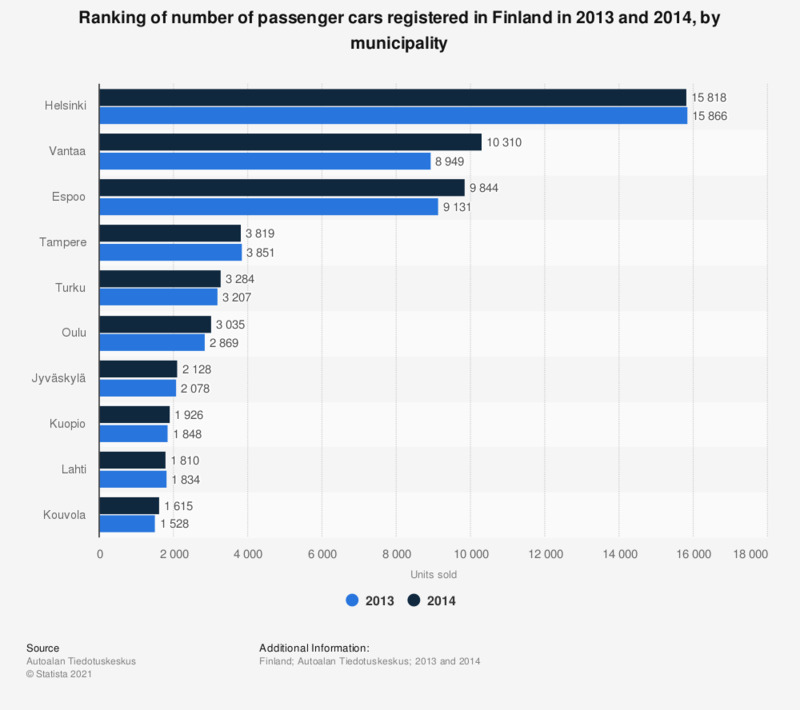 This statistic ranks the number of passenger cars sold in Finland in 2013 and 2014, by municipality. Helsinki, the capital, had the highest number of passenger car sales in both years. Only three municipalities had over 4,000 newly registered cars in 2014.